GLEN ARBOR, Mich. -- "Hey, now that was a golf shot!" I grin. I'm shameless. I crave this praise. I did not know how hard I would have to work for it. I am nearing the end of the first three-day Dave Pelz Scoring Game School in Michigan and I have had to re-learn all my short shots. I have put in hours in the bunkers, on the putting green, and on the range. I have studied how to chip, pitch, putt, hit a wedge a precise distance, and critically, how to practice all of these shots, under the sharp eyes of our Pelz instructors, David LiCalsi and Anne Sparks. As promised by these two on our first day, it has been worth it. The motto of the Pelz program is "Three Days that will change your game -- Forever." Now I believe it. Dave Pelz has developed a precise teaching program and his instructors teach it precisely. Since I've returned to my home course, I've been putting these new techniques into to practice and, by golly, they are working. Anyone who reads golf magazines or watches golf on television knows that Dave Pelz is the guru of the short game. The former NASA physicist, who has done scientific research on all aspects those tricky shots from 100 yards and in, is famous for helping professional players shave strokes off their scores. Based on his studies, Pelz has developed a very specific approach to playing the short game. If you've read any of his books, you're familiar with his concepts. His "Putting Bible" and "Short Game Bible" are already classics. But these tomes (which are nearly two inches thick) are much too detailed for most of us to absorb. Pelz realized early on that to learn a technique, most people needed to experience it. Thus, in 1985, Pelz started his Scoring Game Schools that focus on teaching only the short game, which accounts for about 65 percent of all golf shots. These schools are so successful that amateurs and professionals alike fly in from all over the world to take part in them. Recently, Bob Kuras, the owner of The Homestead Resort, attended a three-day Pelz school. He says he was impressed with the program and knew it would be a real coup to bring it to his resort on the Leelanau Peninsula. He came to know Dave and JoAnn Pelz and the result is that this summer PelzGolf announced a seasonal golf school at The Homestead. It is being operated in conjunction with the Homestead's Lifetimes Skills Learning Centers. For his part, Kuras constructed a teaching center for the school and is improving a practice complex that consists of a range, several pitching and chipping areas, a number of bunkers and two putting greens. The usual Pelz three-day schools have 16 students with four instructors. But because the Michigan schools were not announced until very late in the spring, registration was light for this first session. Thus, just four of us enjoyed a 1-to-2 teaching ratio. My fellow students were a 19-year-old from Chicago with a 3-handicap who is heading off to play college golf, and a father and his 19-year-old son from New York City who played at about my level -- which is to say, was at the higher handicap level. An interesting mix, what with two adults and two young adults, but it all worked just fine. The Pelz program is intensive, yet paced in such a way that you are never overwhelmed either by the practice or the theory sessions. First, LiCalsi (who is the lead instructor) gave a half-hour orientation lecture explaining the overall program, which most of us were familiar with. Then we went out to the range for individual skills tests. For these, they videotaped each of us making a 40-yard wedge shot, a sand shot and a chip shot. They made no comments. Then we returned to the classroom and LiCalsi gave a short lecture (using Powerpoint slides on a large-screen television) explaining the correct techniques for these three shots. We learn that Pelz calls the swing used for short wedge shots the "finesse swing." Then we went to the green for a putting evaluation (and more videotaping). At the end of the day, we had a lecture on putting fundamentals, a la Pelz. We went from 8:30 a.m. to almost 5:30 p.m. It was a full day but afterward my three co-students headed over to the Homestead's challenging nine-hole par-3 course to try out their new skills. Most of the next day was spent putting, then reviewing the other shots. And on day three we covered it all again. In all, we spent five sessions in the bunker, obviously, the toughest shot for all of us. Much of the time, I was situated next to our 3-handicapper and was able to overhear his instruction. I appreciated how well Sparks and LiCalsi were able to deal with fine-tuning his game while overhauling mine. Pelz promises personal attention, and they do deliver. There were also discussions on club-fitting, what clubs each of us needed to carry in his or her bag, on etiquette and the fine points of rules. Each of us was measured for our putters, and in most cases, the putters we were using needed major modifications. We discussed the well-known Pelz 3x4 system that promotes using three different backswings with four different wedges to achieve 12 different distances. However, for our group anyway, this was not dwelled upon. Instead, they focused on teaching each of us the basic finesse swing and to use it will all of our wedges. "What many people do around the green is use just one or two clubs and then swing it differently for all of their shots," LiCalsi explained. "Instead, what we want you to do is use the same basic swing for all of these shots and change the club you use. We believe you will be much more consistent that way." And while they demonstrate the many Pelz training aids, they do not press you to purchase them. Pelz does sell wedges ($130 each), books, videos and the training equipment (the earliest Pelz wedges can be bought on E-bay for about $60). When going through the school it is somewhat impressive to find out that we resort golfers are treated the same as the professionals. No one can receive individual instruction from a Pelz teacher unless they go through the Pelz three-day school first, LiCalsi explains. That includes the likes of Annika Sorenstam, Se Ri Pak, Vijay Singh, Colin Montgomerie and numerous other pros who have come to Pelz for instruction. Dave Pelz himself only works with players who place in the top 50 on the money list. With one exception: He did travel to the White House to give instruction to former U.S. president Bill Clinton. There are those in Michigan who have been wondering why the Pelz school is located at the Homestead, which is not exactly the hotbed of Northern Michigan golf. The answer may just be that Kuras had the foresight to go after it. In truth, the Homestead's facility is just fine for teaching the short game and the par-3 is a great little course to play. 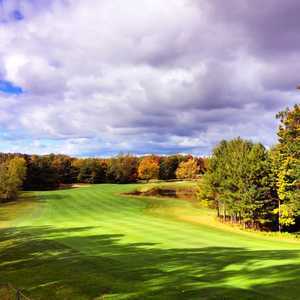 Those who want to play 18 holes before or after the school can head over to King Challenge's, an Arnold Palmer design, which is just 10 minutes from the Homestead or to the Leelanau Club, which is about a half hour away. The Homestead itself is a lovely resort right on the shores of Lake Michigan. It offers accommodations in small hotels, a lodge, an historic inn or in condos or lakefront homes. For those in the Pelz school, it is most convenient to stay in the Stoney Brook Lodge, where is where most classroom sessions are held. There is a lovely beach at the Homestead and just down the way there is the Sleeping Bear Dunes National Lakeshore. Families love the Homestead and there are all sorts of activities geared for children. So you could easily bring your family with you while you attend the school. While the three-day Pelz school is downright expensive -- about $100 an hour, not including room and meals -- it is well worth considering if you are serious about improving your game over the long term. When you realize how much you spend on golf equipment and clothing over a couple of years, these fees might not seem so high. At the end of the school, we were each handed a notebook that had been individually prepared for us. It covered all of the points in the school with notes about our individual problems. It also contained the proper measurements for our putters. And it contained pictures of our progress. There is just no way that PelzGolf is going to let you forget what you learned here. Rates: Single, $3,120 to $3,650 depending on the accommodations selected. Double, $2,745-$3,010. Commuter (no room): $2,375. Lunch each day is included. Three-day schools include video analysis, classroom theory sessions, plus hands-on drills and exercises. Each school has a 4-to-1 student/teacher ratio. Wedge and putting clinics available each day in full-day or half-day sessions. Learn proper techniques for reliable chipping, sand and wedge play. Then improve your putting set-up, green reading, putter path, face angle, and sweet-spot impact. Each clinic has a 6-to-1 student/teacher ratio. Wedge sessions: 8: 30 am - noon. Putting Sessions: 1 - 4 pm. Pelz also conducts one-day clinics in the Detroit area (Cherry Creek Golf Club in Shelby Township) in late June and early July. Learn golf's fundamentals and the basic skills and etiquette needed to get started in the game. On the first day, students meet at the academy for a 9 a.m. to 4 p.m. class. 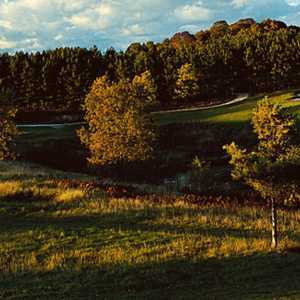 The next day the students play a nine-hole round on the Homestead par-3 course with instructor supervision. Each session has an 8-to-1 student/teacher ratio. PelzGolf also offers its various programs, including two-day Alumnae Schools, at the Boca Raton Resort & Club in Florida, the Reynolds Plantation in Georgia, The Ranch at LaQuinta in California, The Club at Cordillera in Colorado and at Vineyard Knolls in Napa Valley, Ca. Information and dates are on the Web site. Cynthia Boal Janssens is a former newspaper writer and editor turned freelance writer. She is the former travel editor and Sunday magazine editor of The Detroit News. In addition, she has worked for newspapers in California, Georgia, New York and Pennsylvania. She is a graduate of Ohio University.